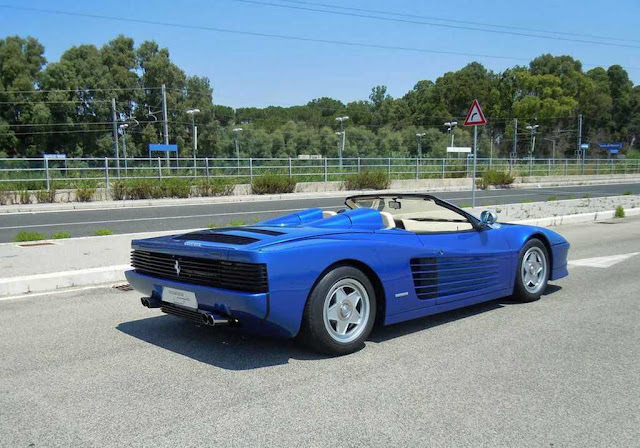 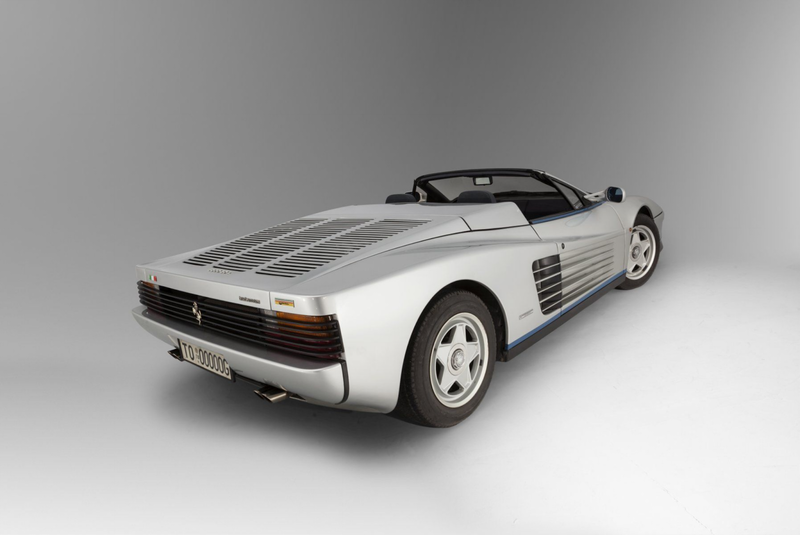 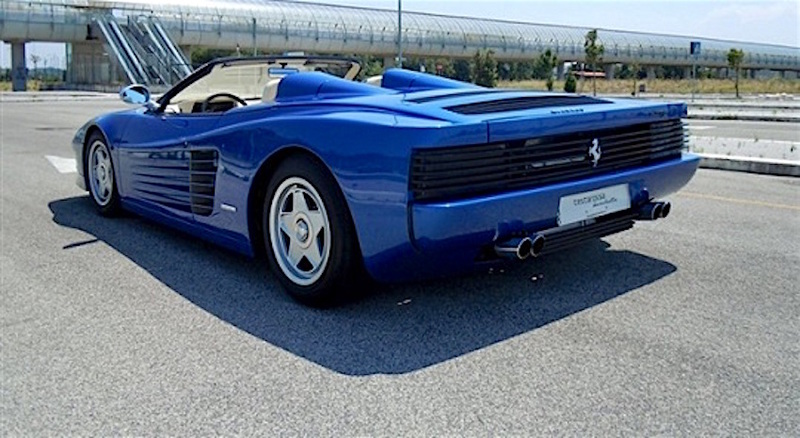 This one-off conversion started as a 1987 Series 2 Ferrari Testarossa 'monodado' with only 33,000 km. 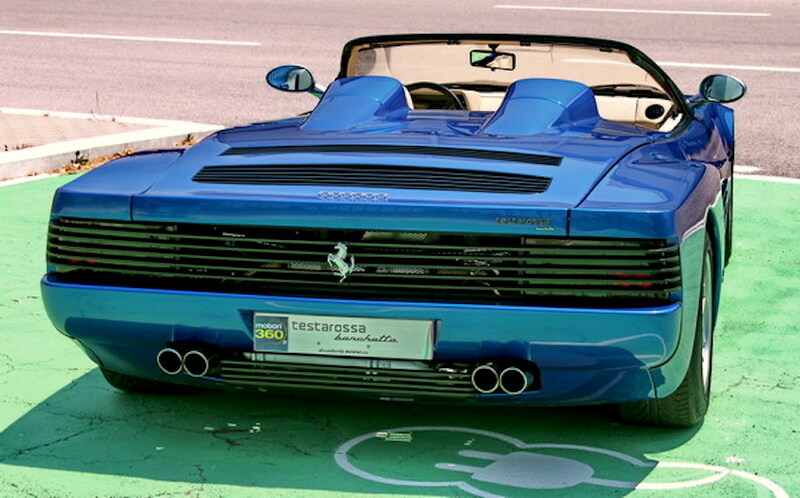 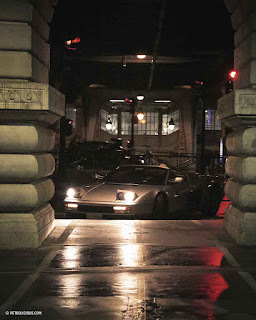 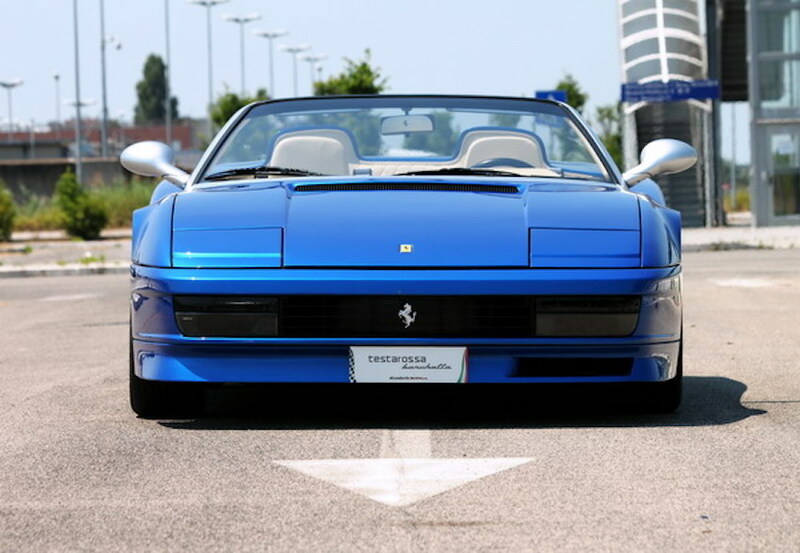 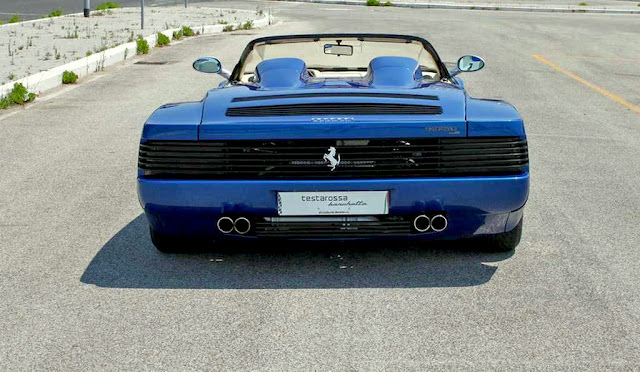 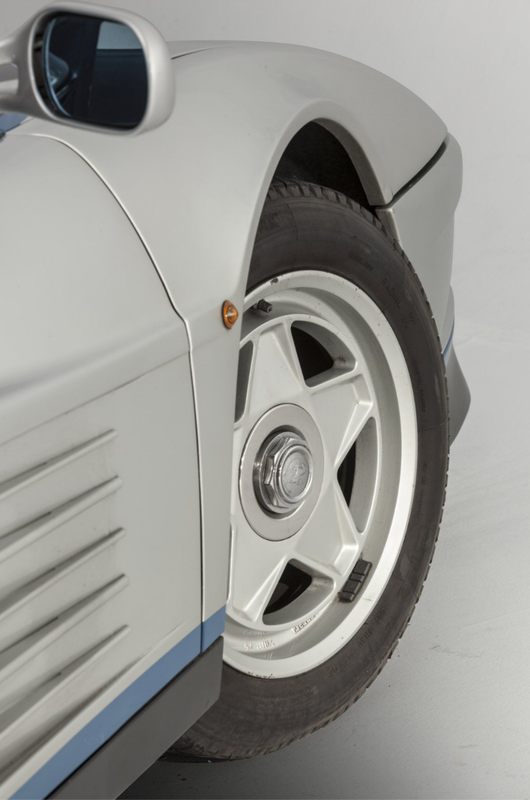 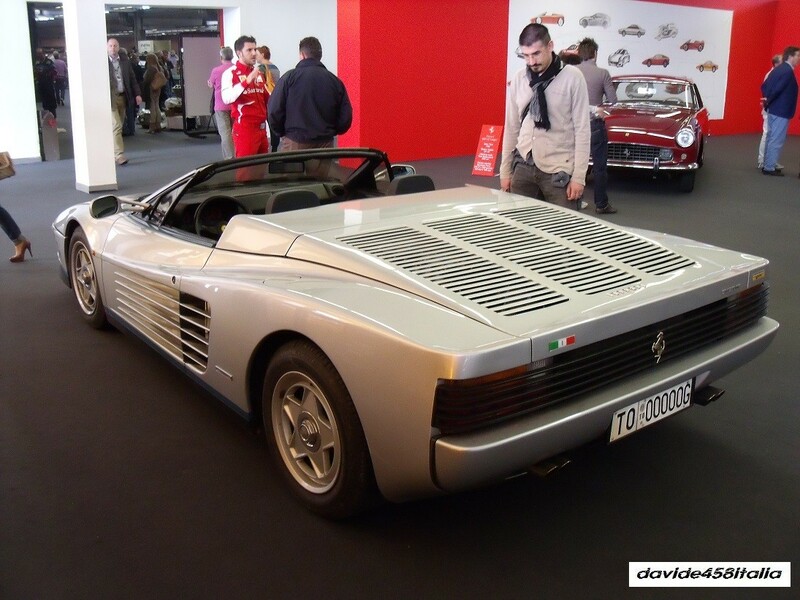 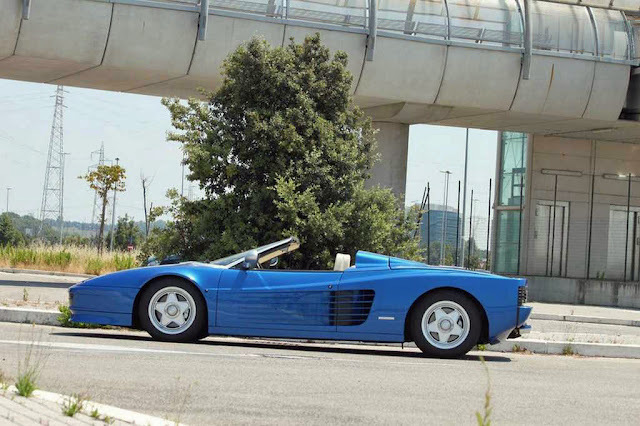 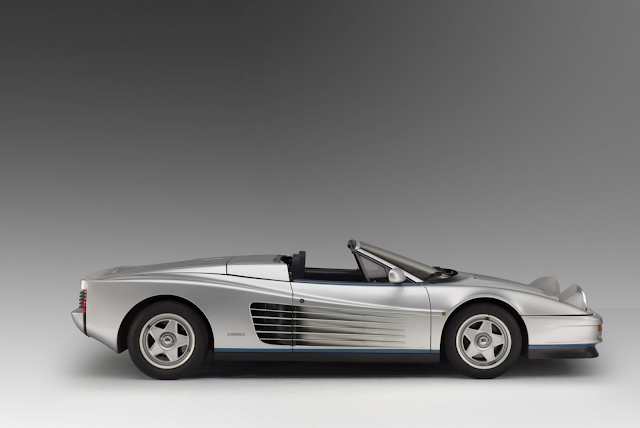 The philosophy of the roadster is set by the bodywork of Roman Scuderia Baldini and was renamed the Testarossa Barchetta. 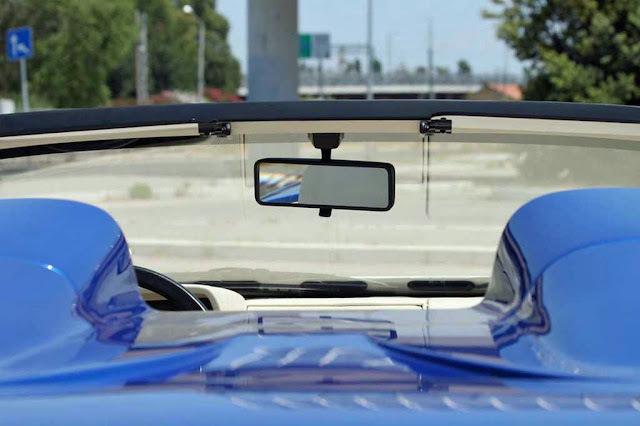 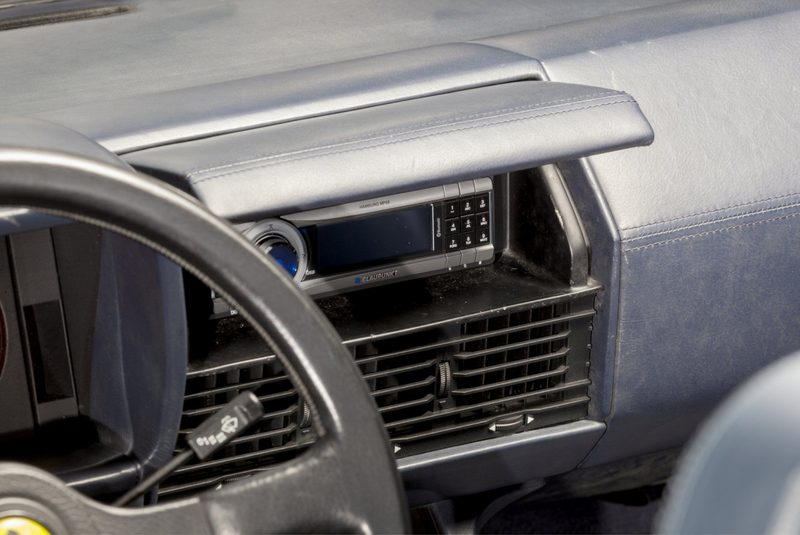 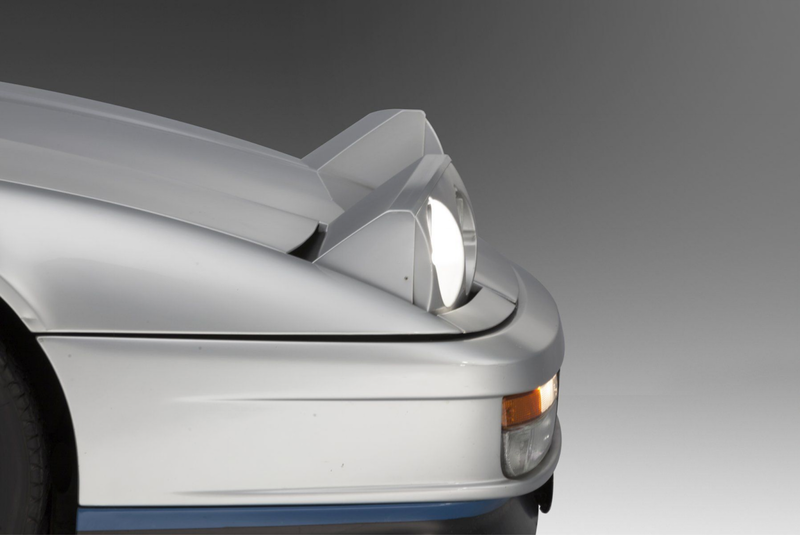 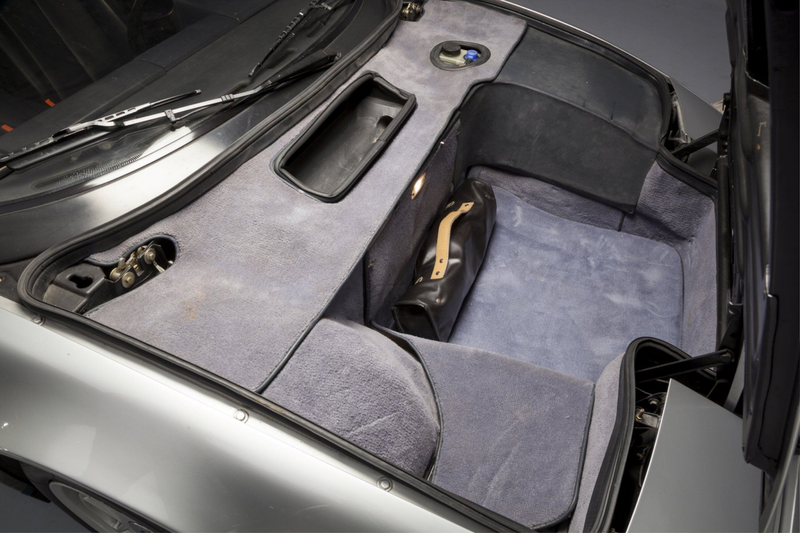 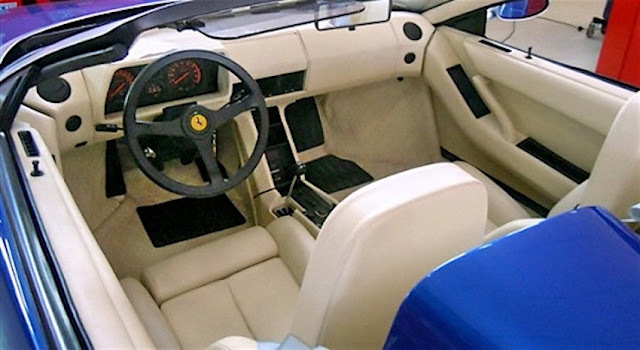 Car body is Sea Blue, cream interior, interior trim in aluminum color and to instantly capture the look, the absence of the ceiling and rear fittings of the engine hood, deleted and replaced by two classic domes. 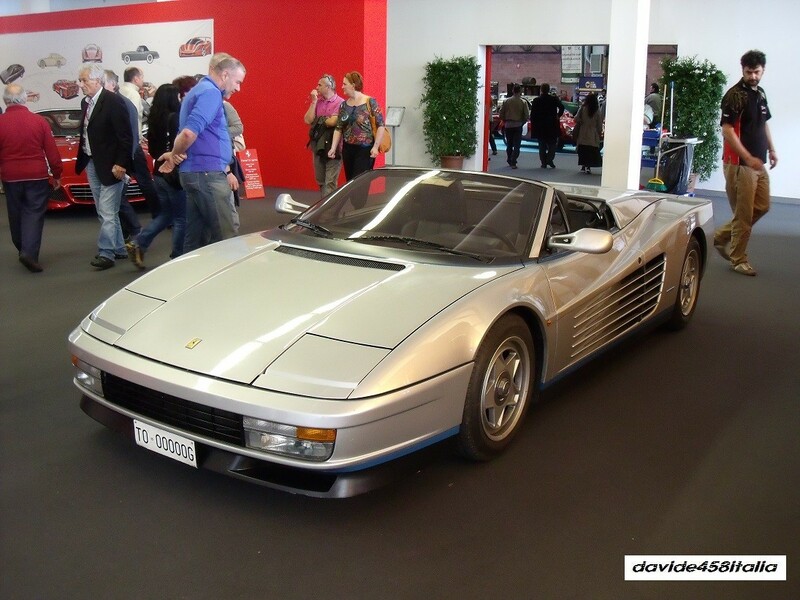 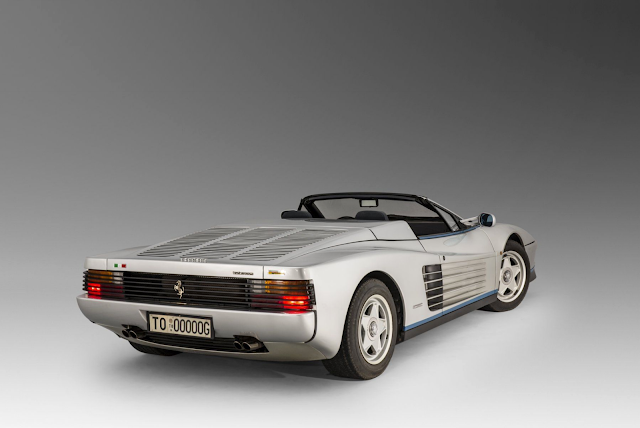 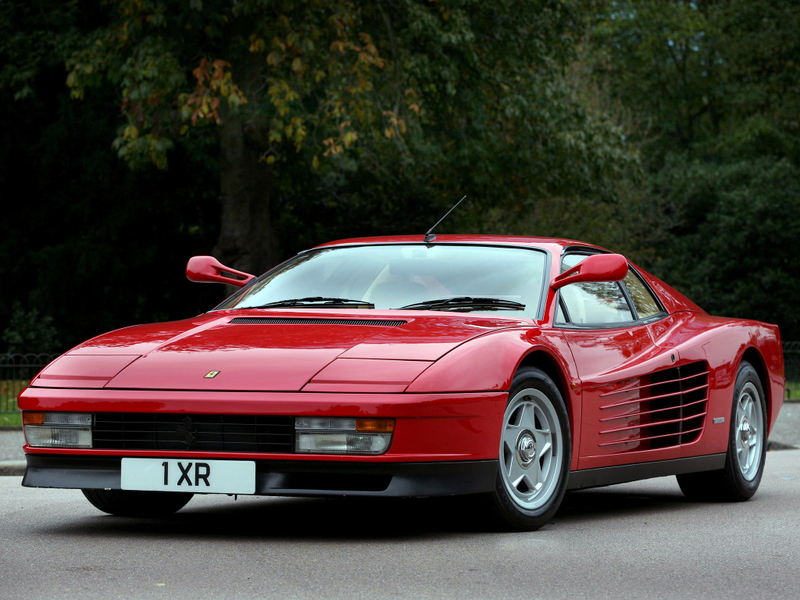 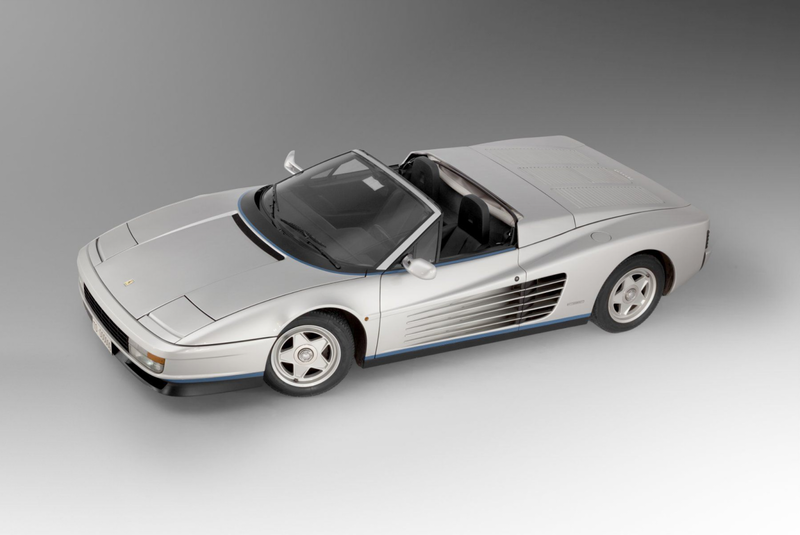 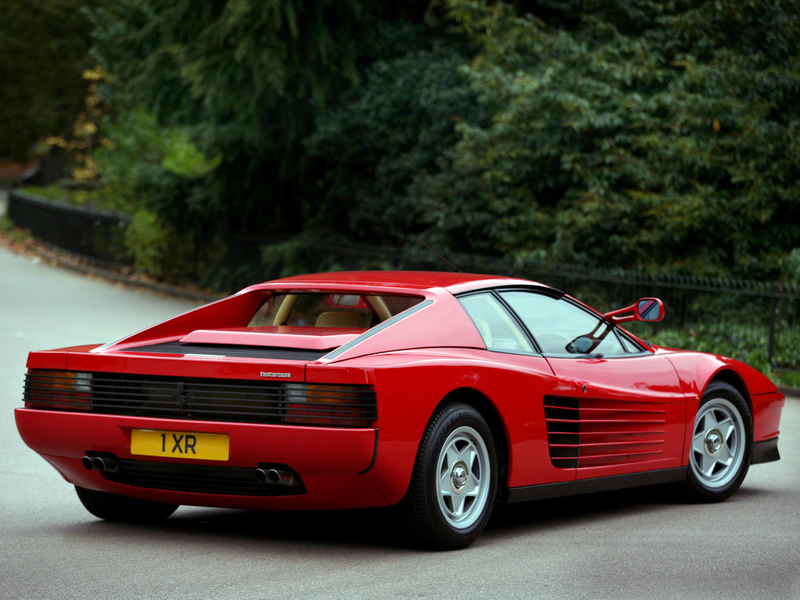 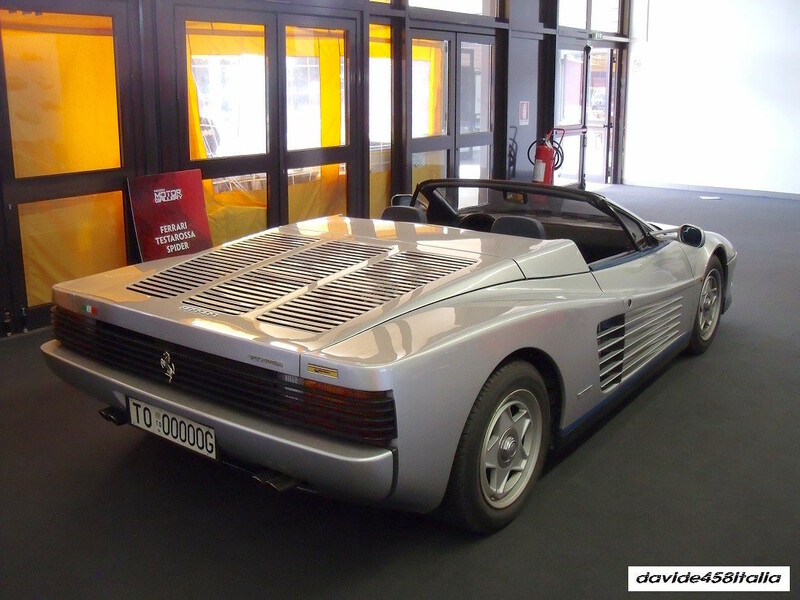 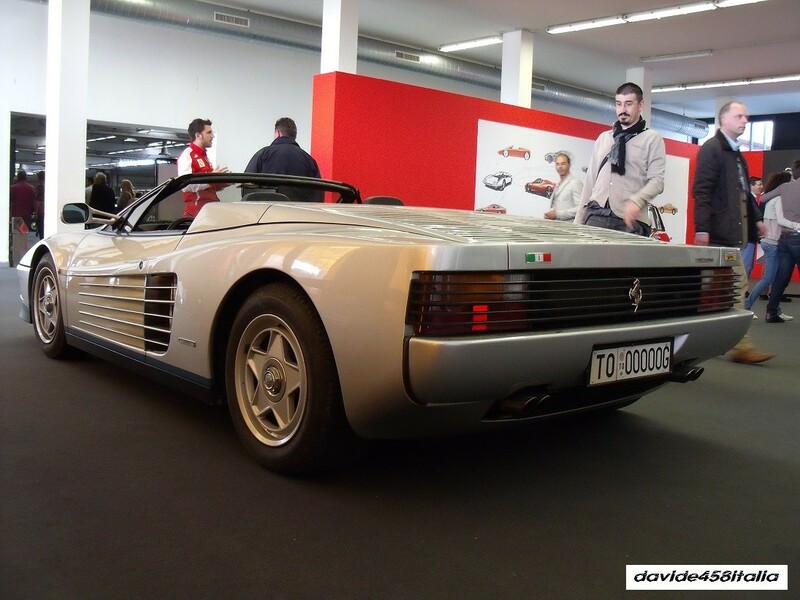 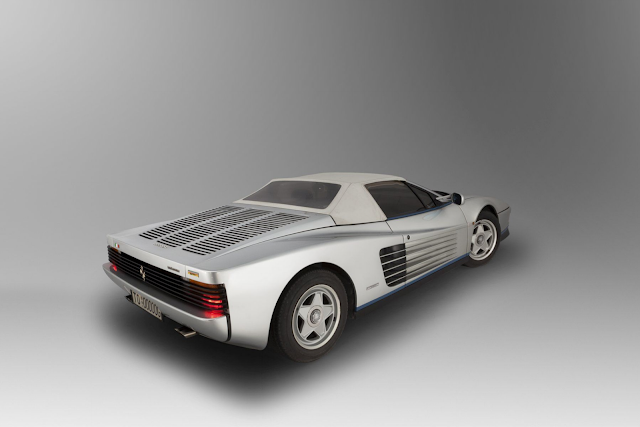 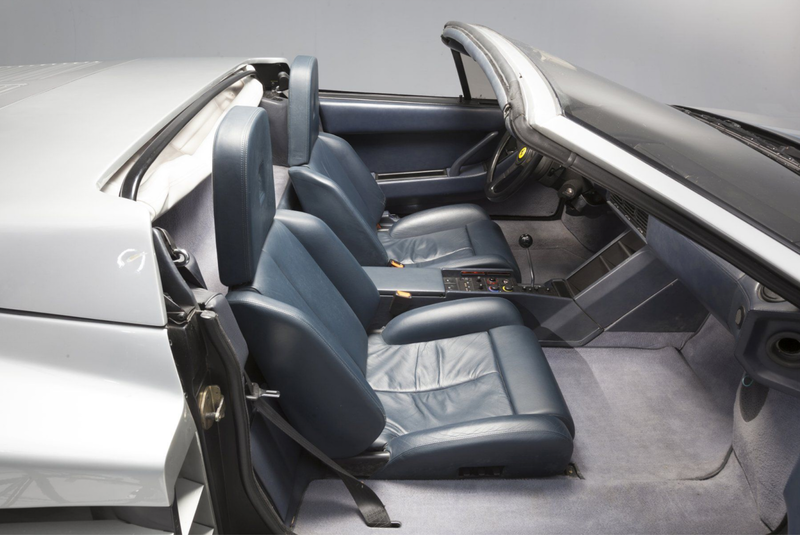 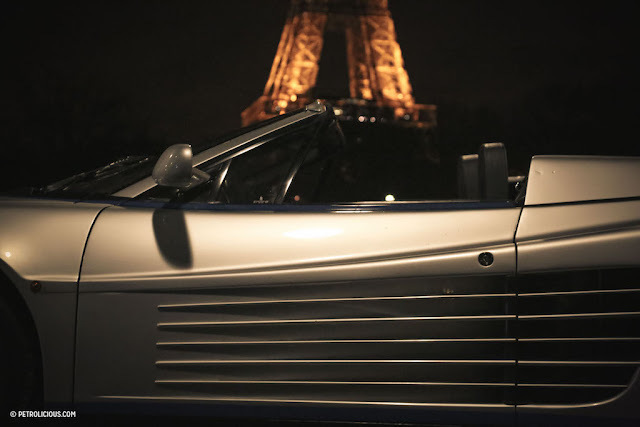 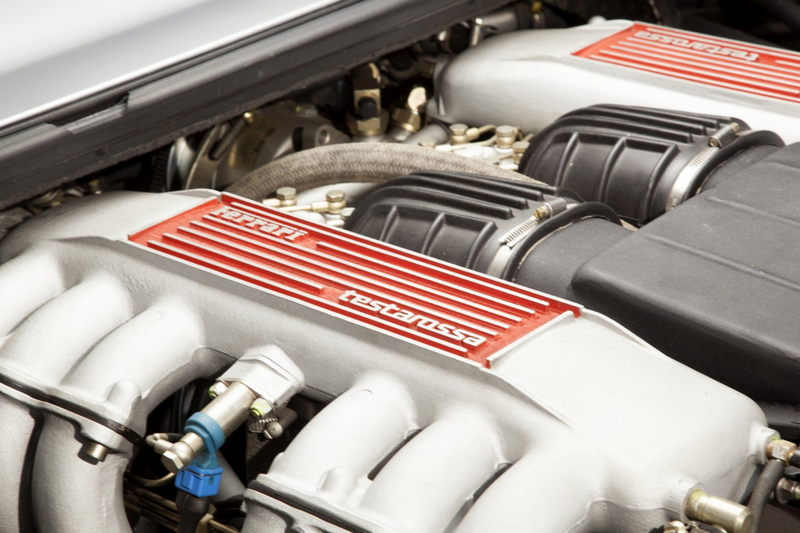 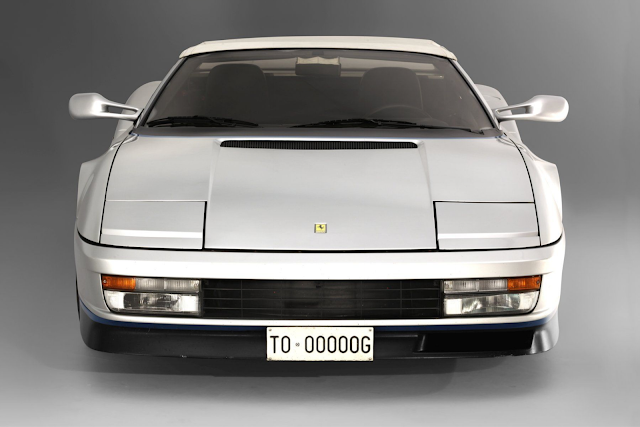 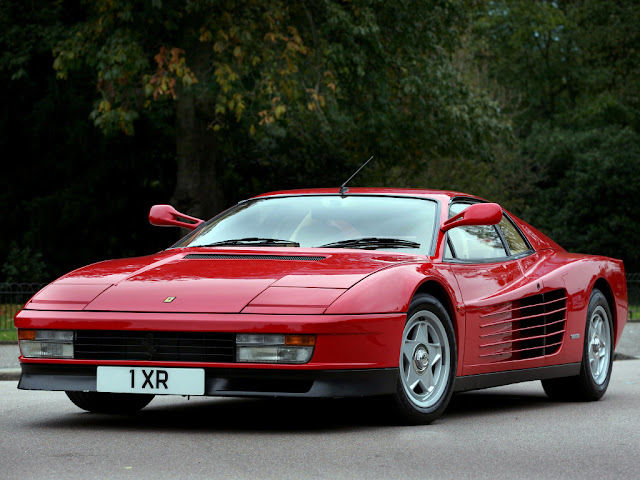 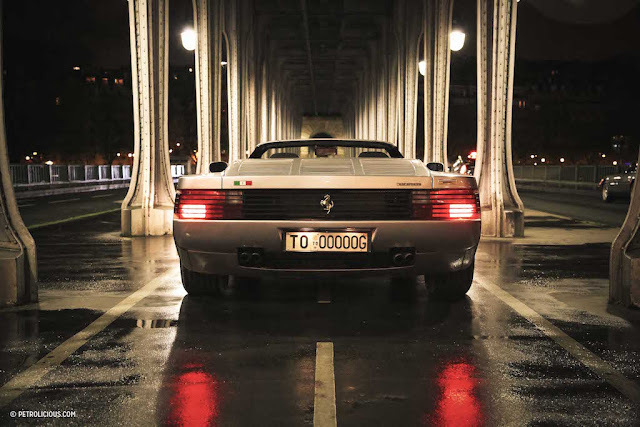 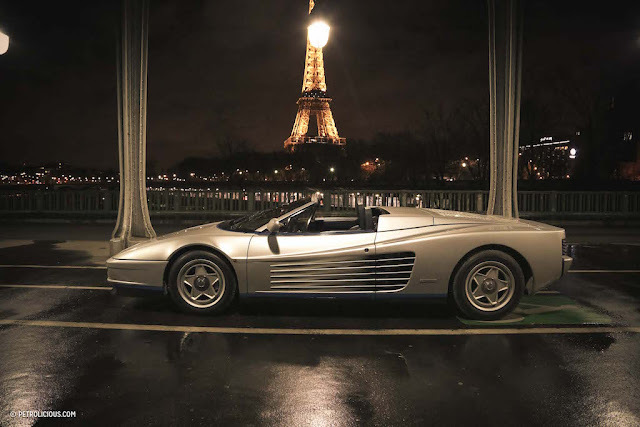 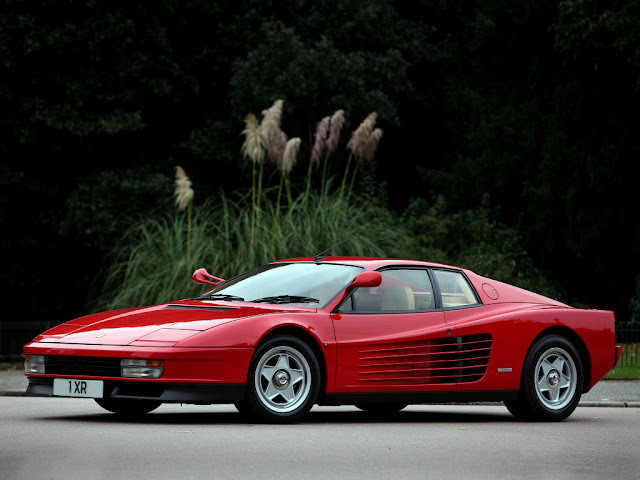 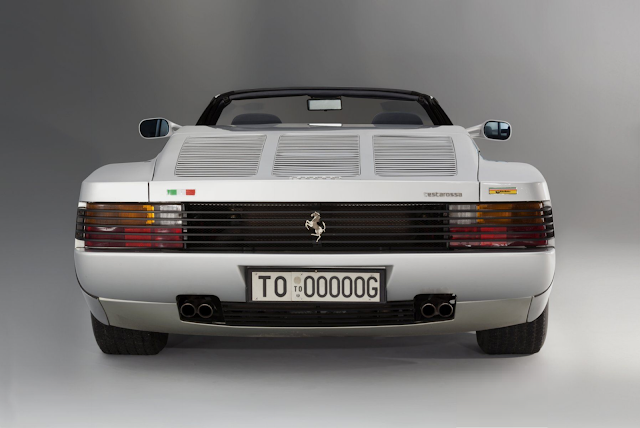 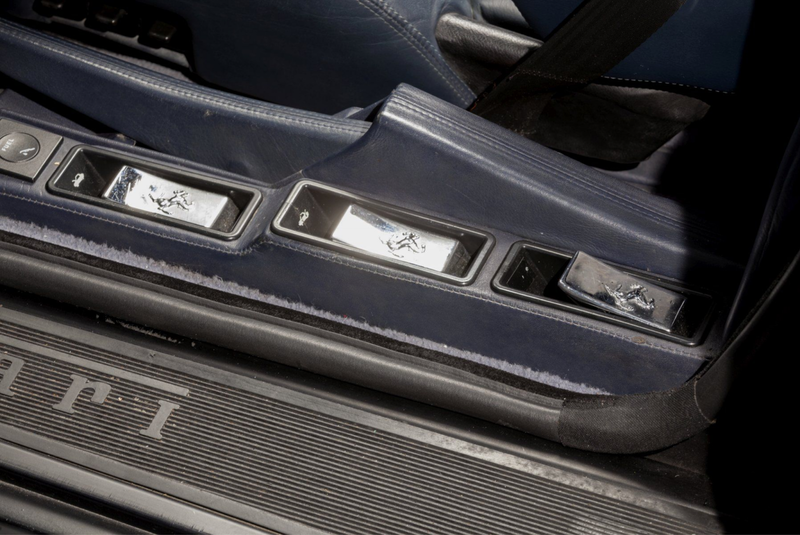 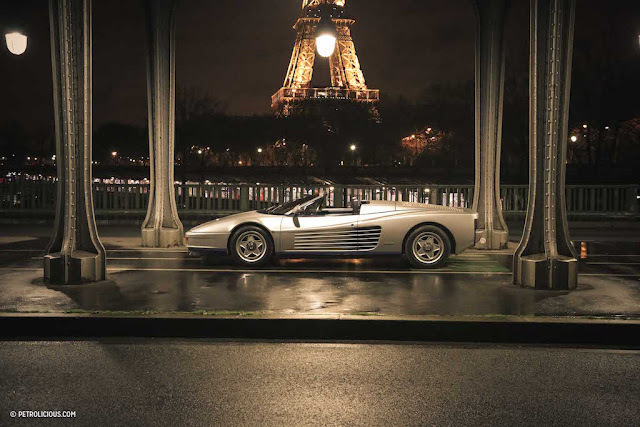 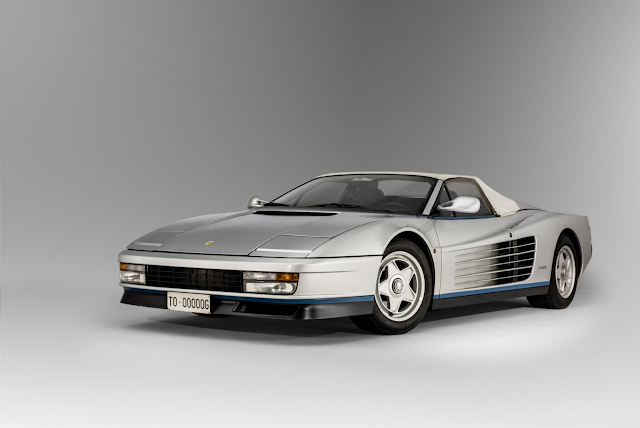 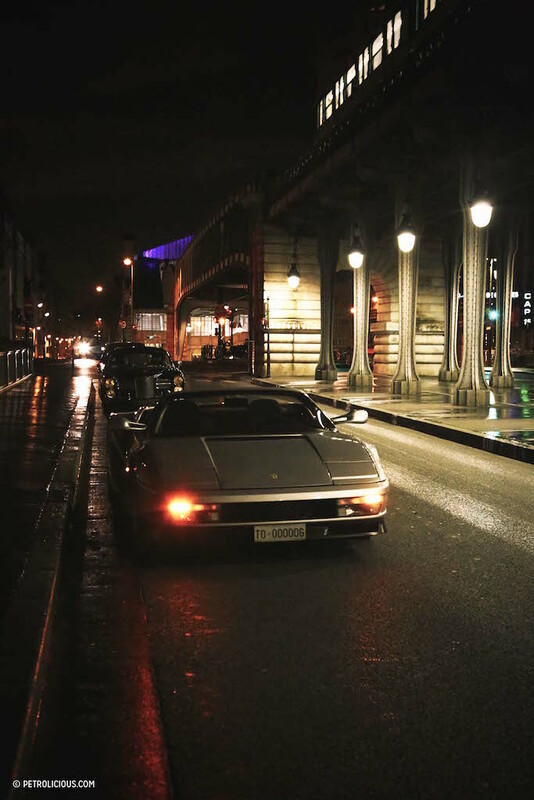 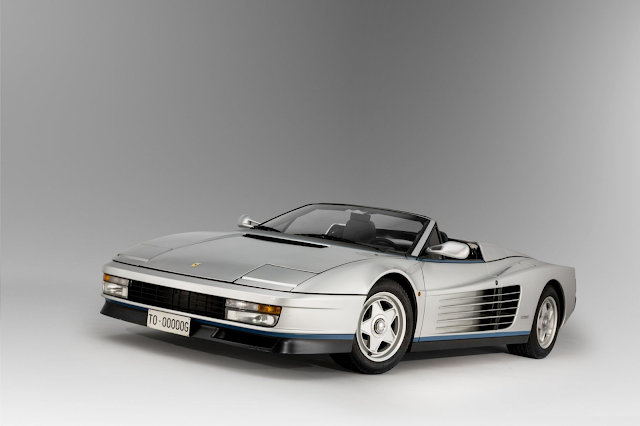 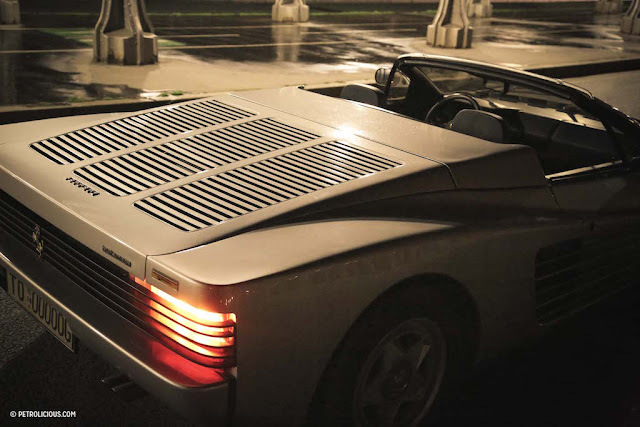 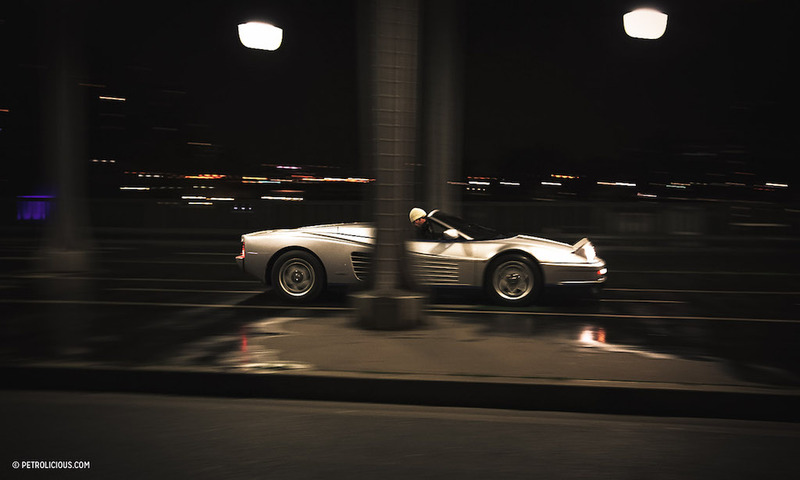 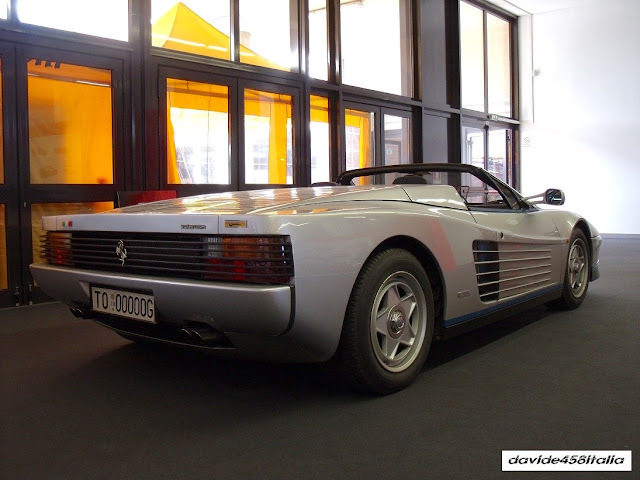 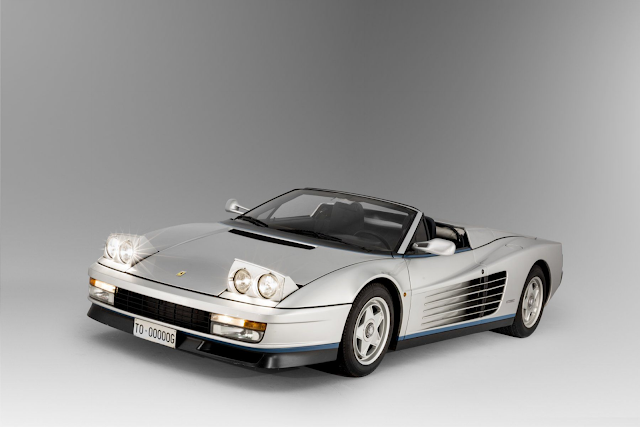 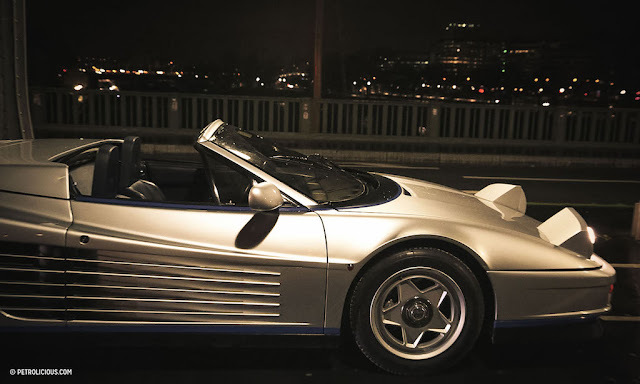 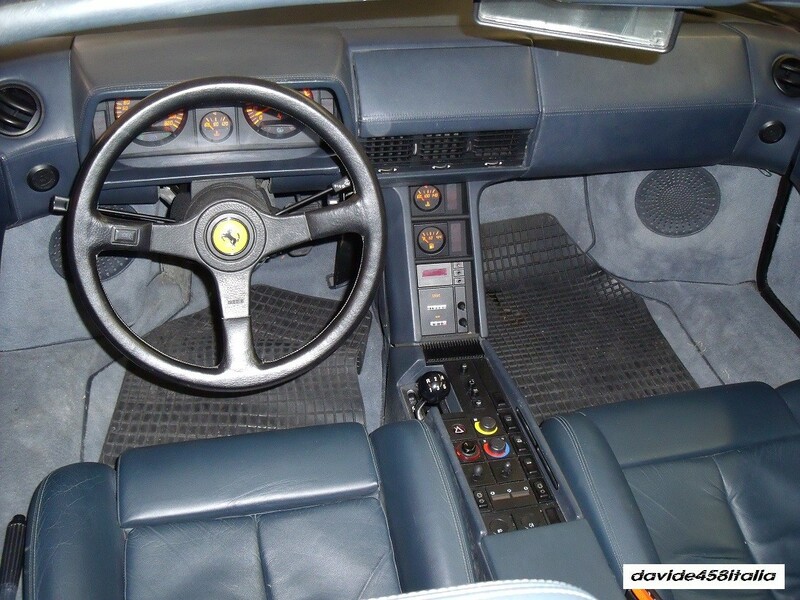 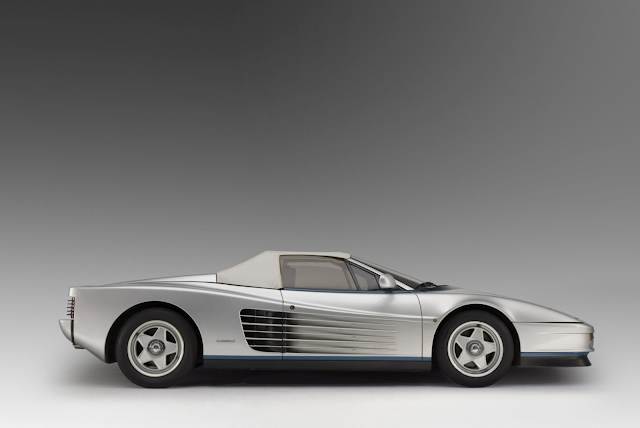 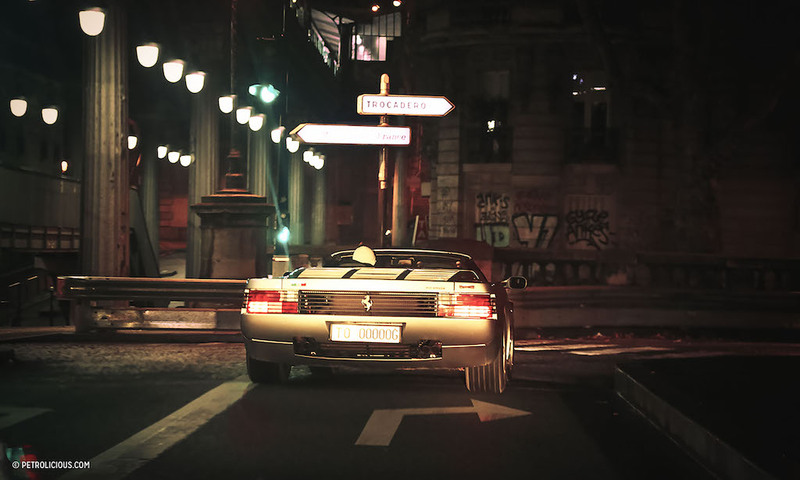 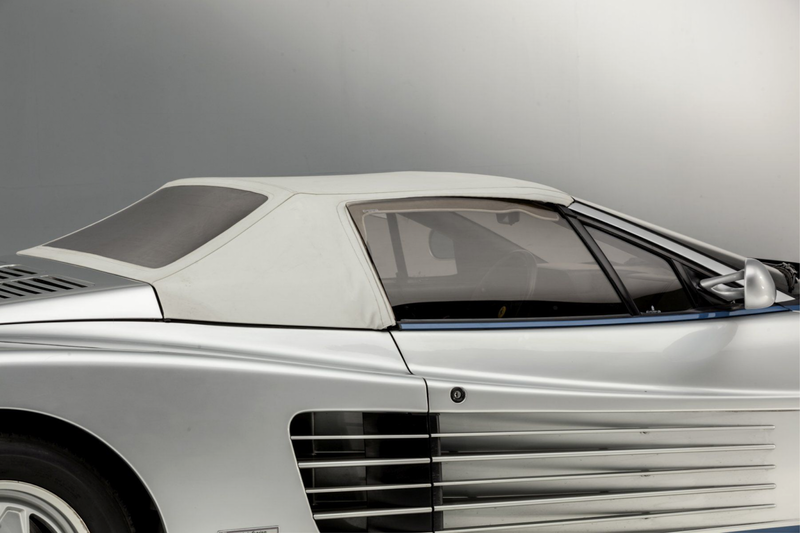 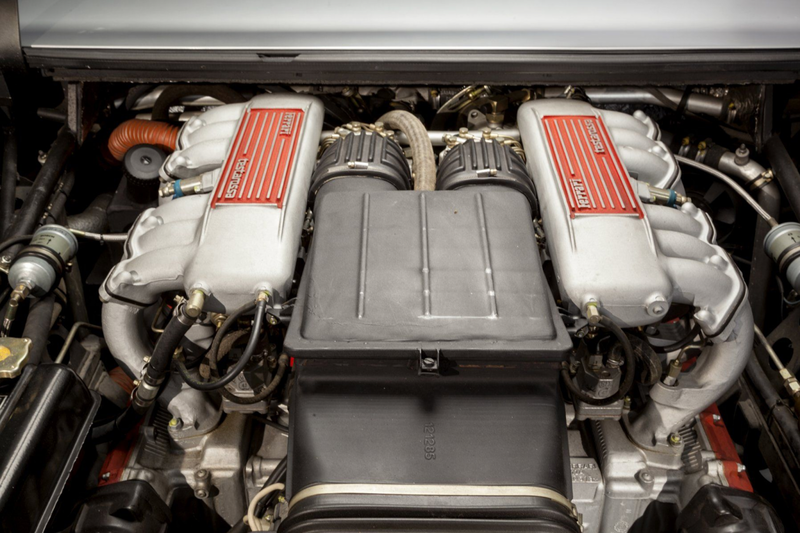 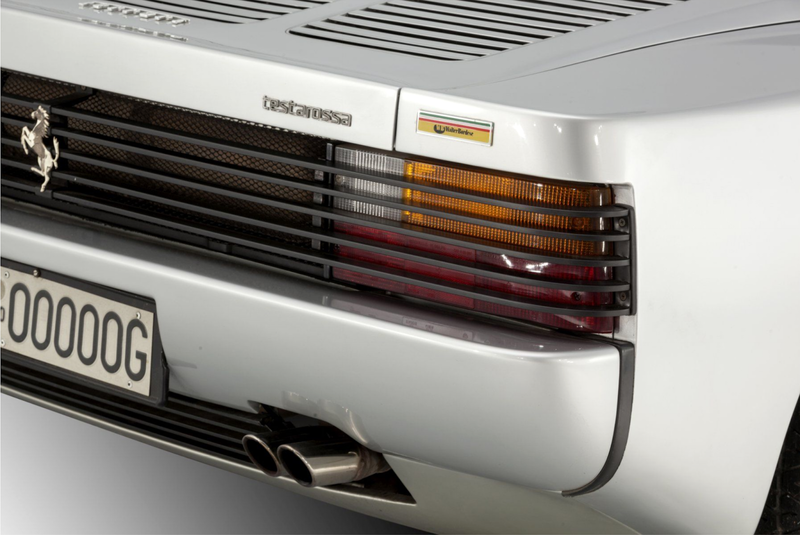 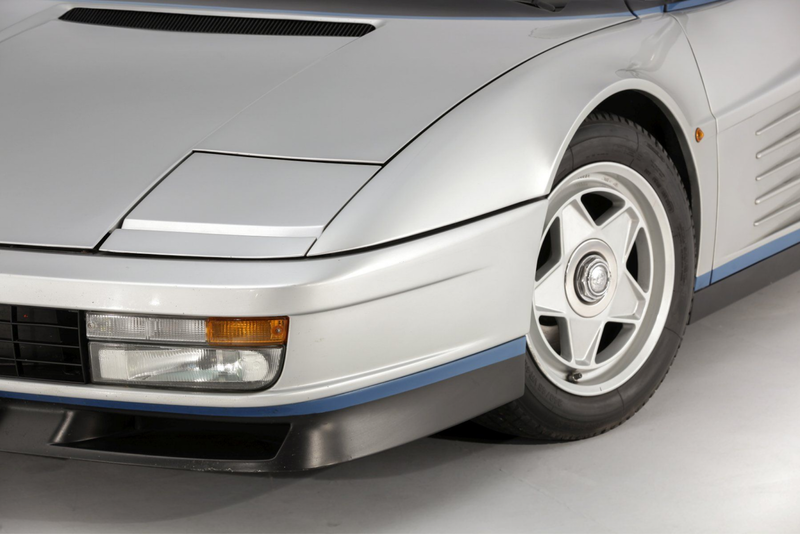 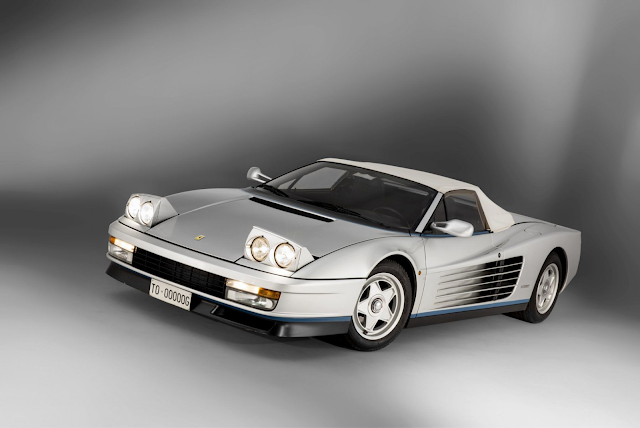 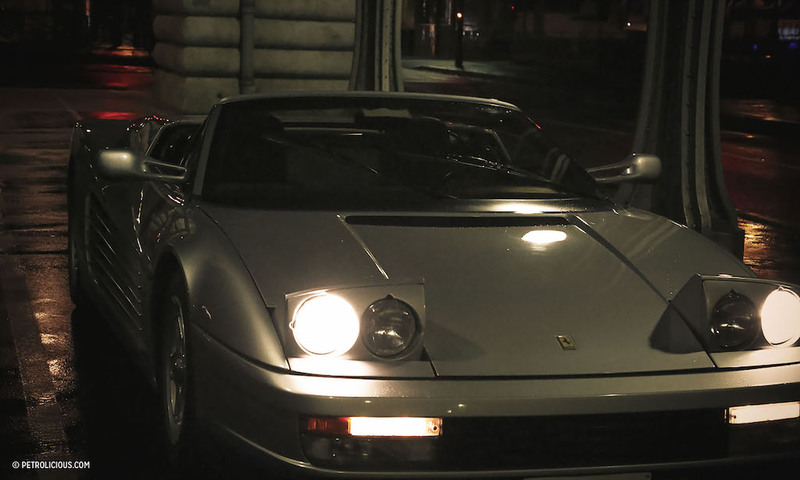 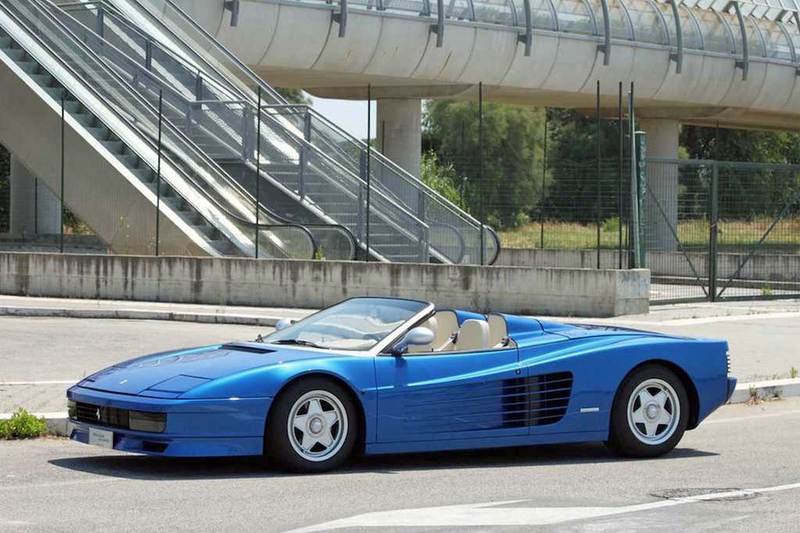 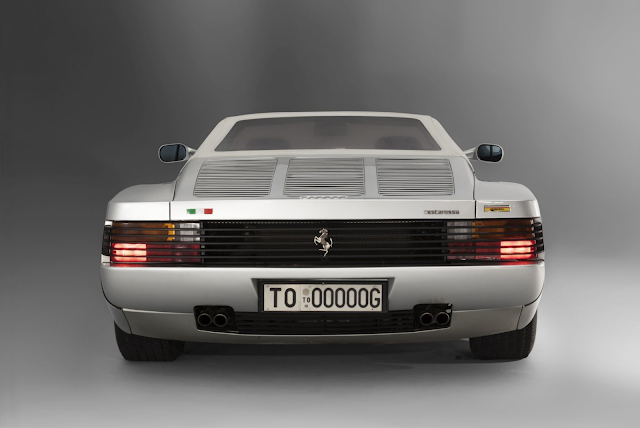 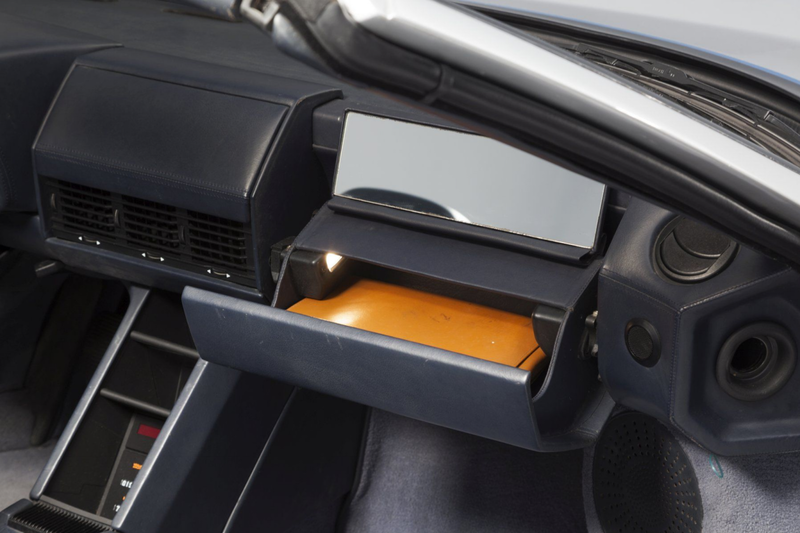 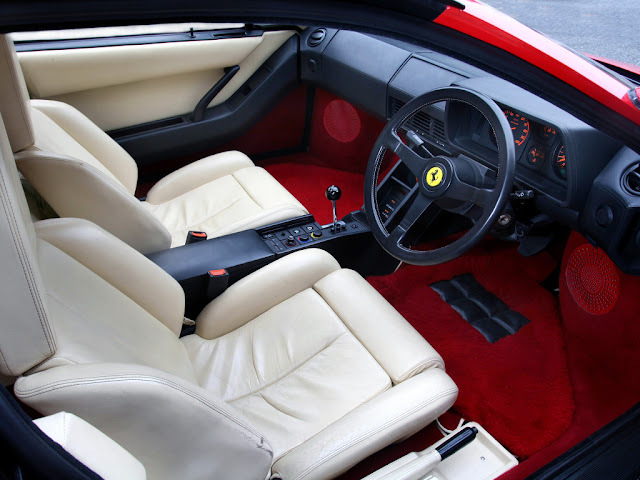 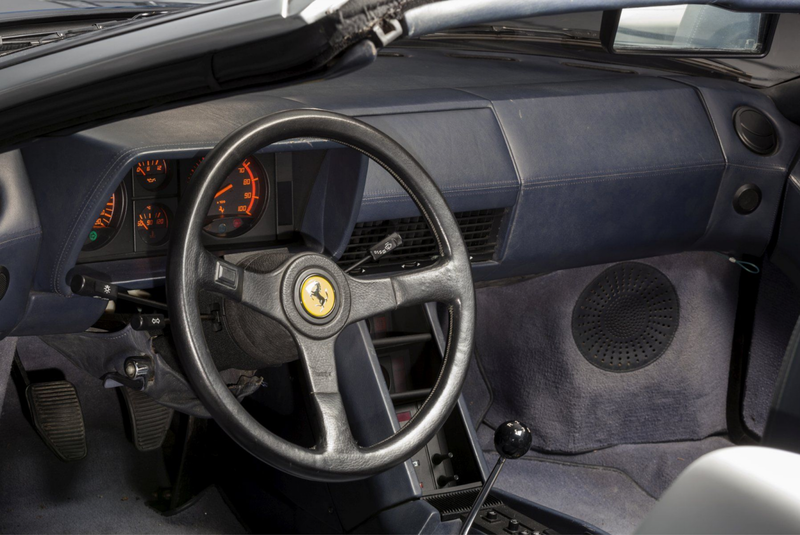 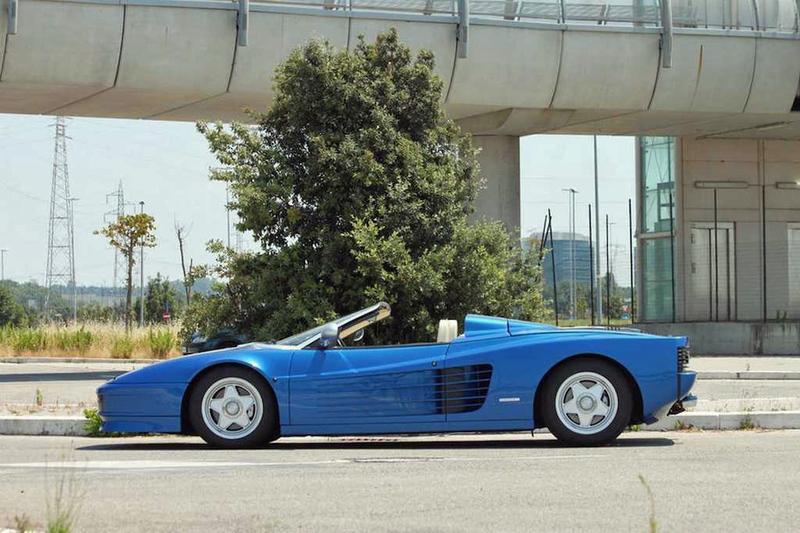 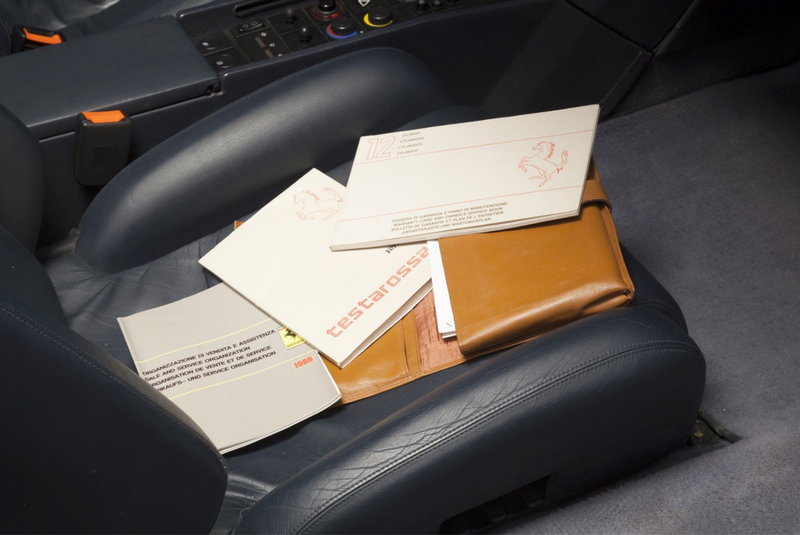 The 12-cylinder mid-engine Testarossa was first presented to the public at both the Paris Motor Show and the Lido nightclub, in October 1984. 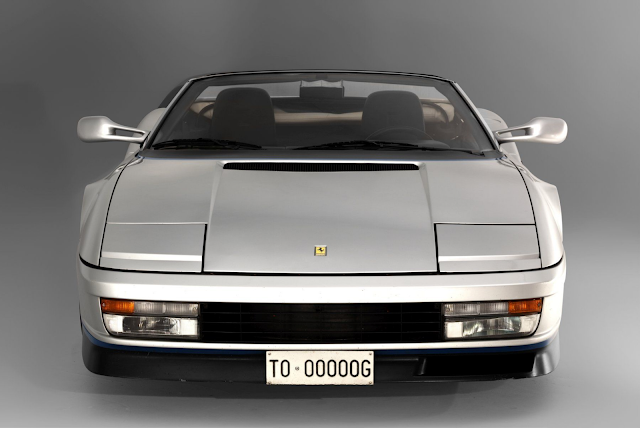 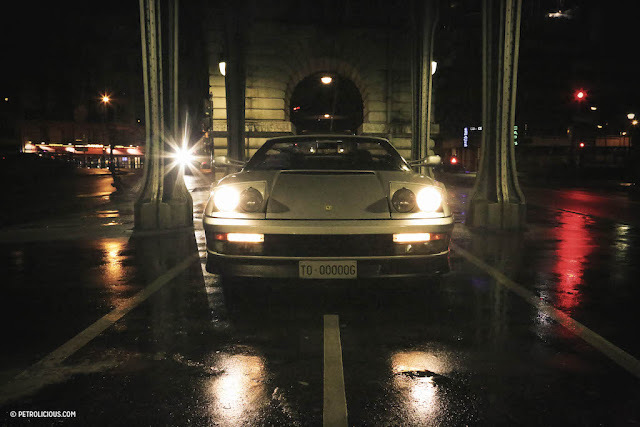 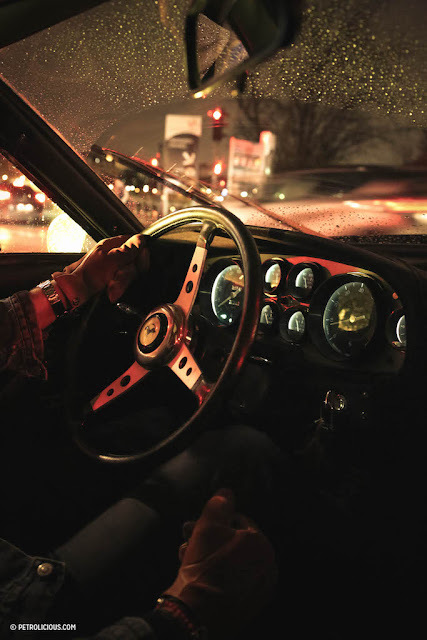 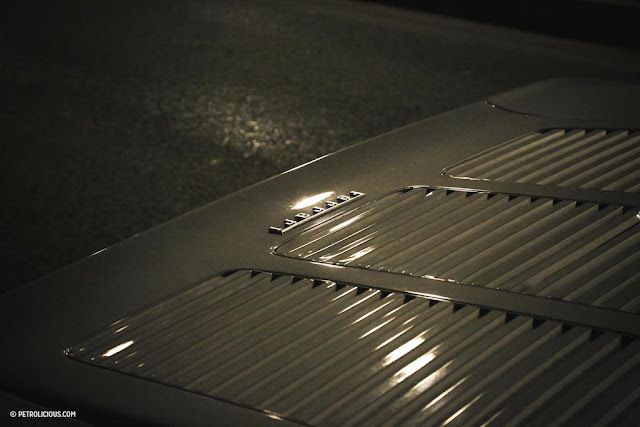 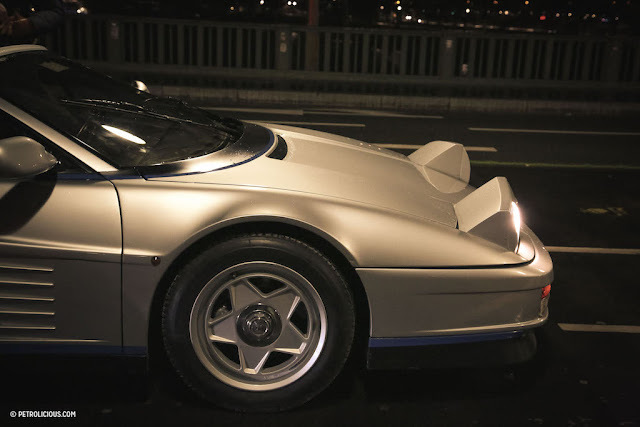 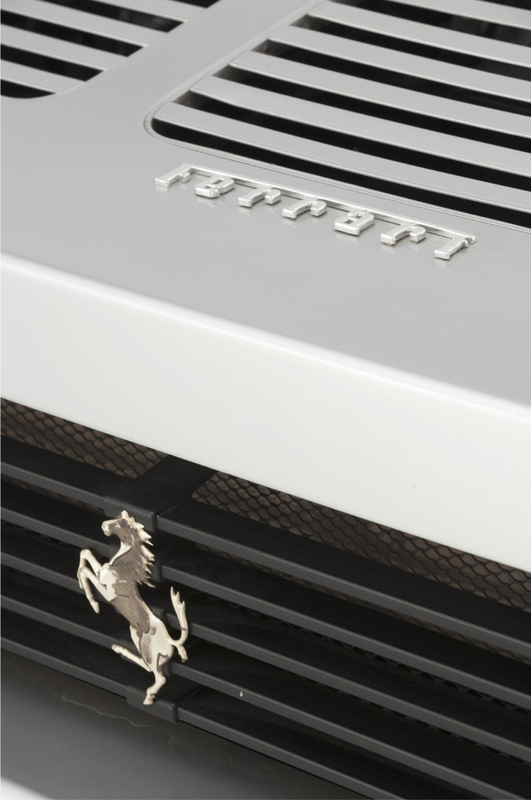 It went into production immediately as being the first Ferrari designed for the United States where the strict regulations on passive safety and pollution had a profound effect on the North American market. 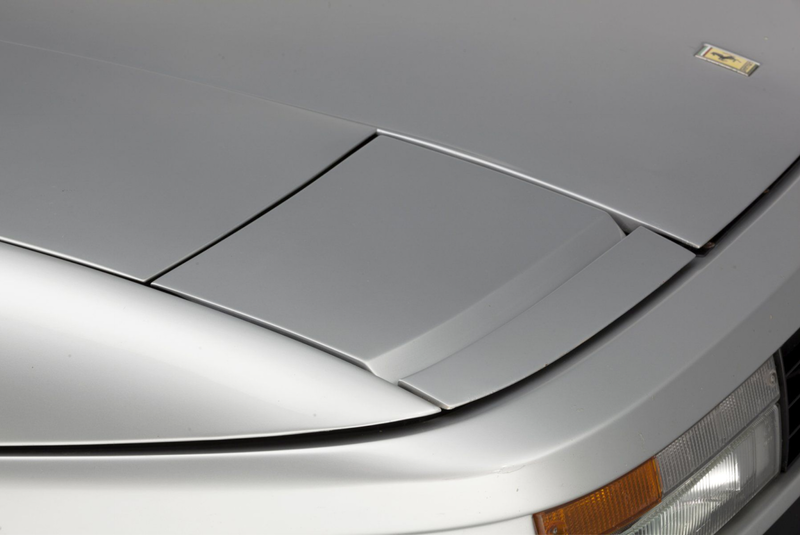 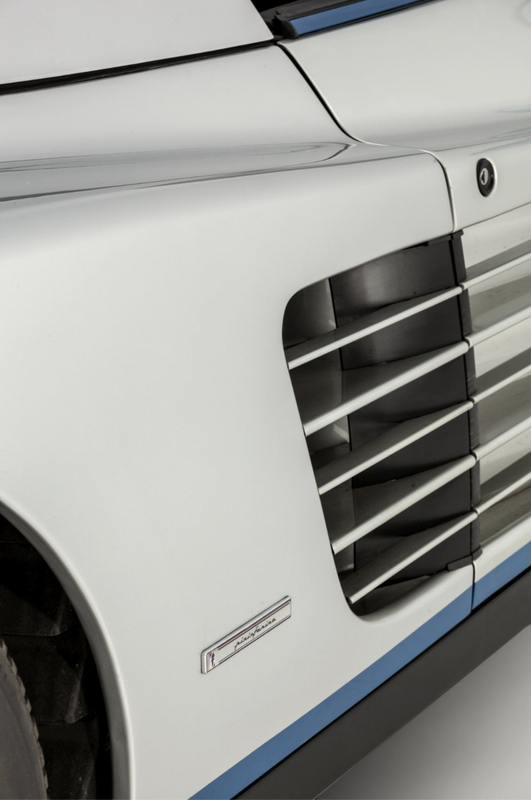 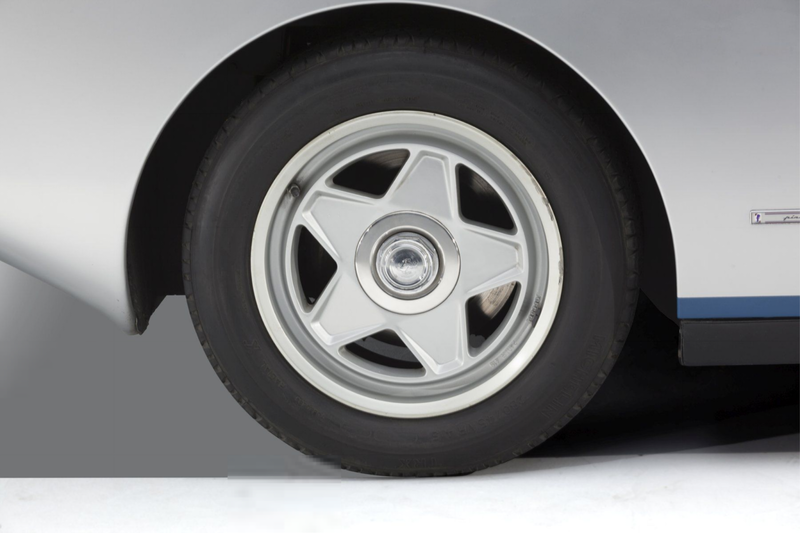 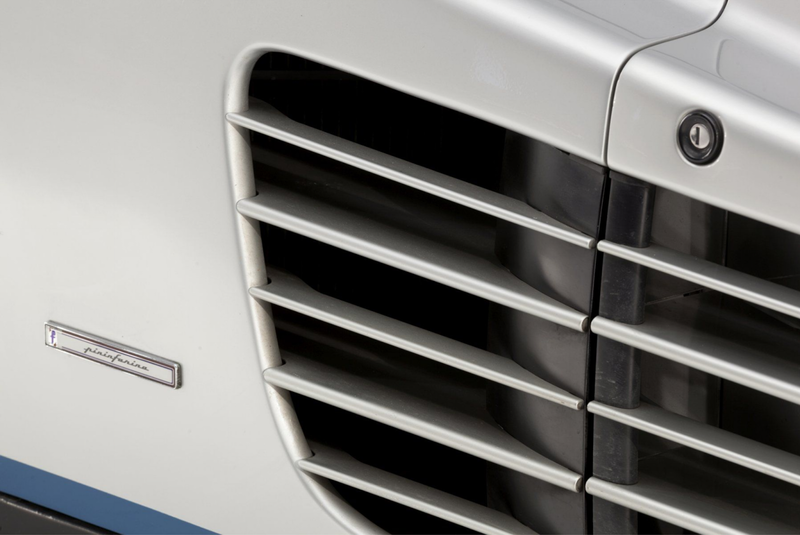 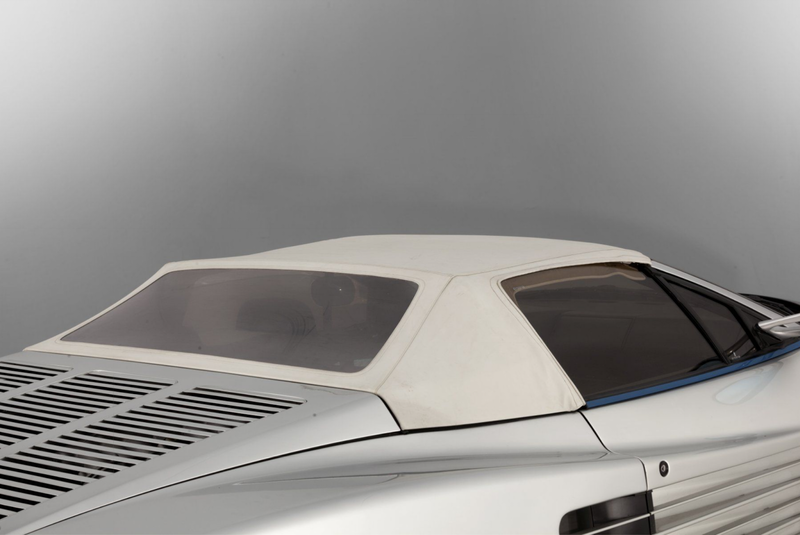 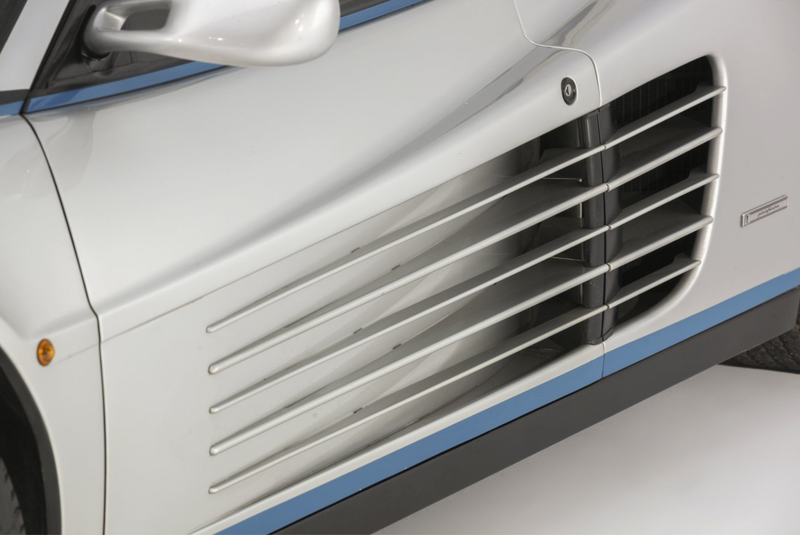 Extensive trials at the designer and builder Pininfarina's modern wind tunnel helped to develop the car's shape but left little freedom for artistic inspiration, as the drag coefficient and above all high-speed downforce were given greater priority in its specifications. 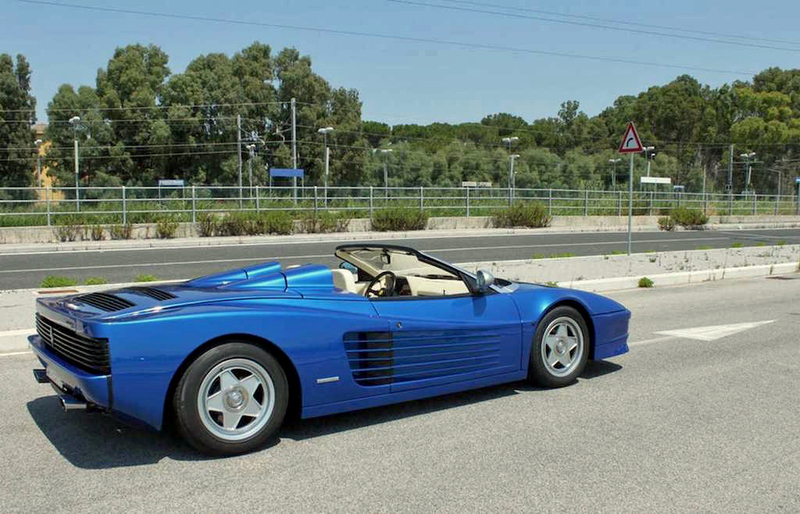 It was capable of travelling at close to 300 km/h, comfortably and with disconcerting ease. 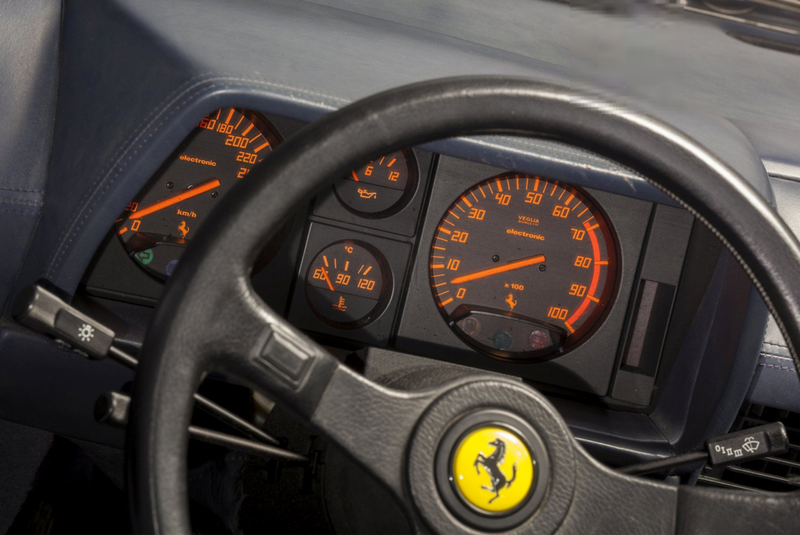 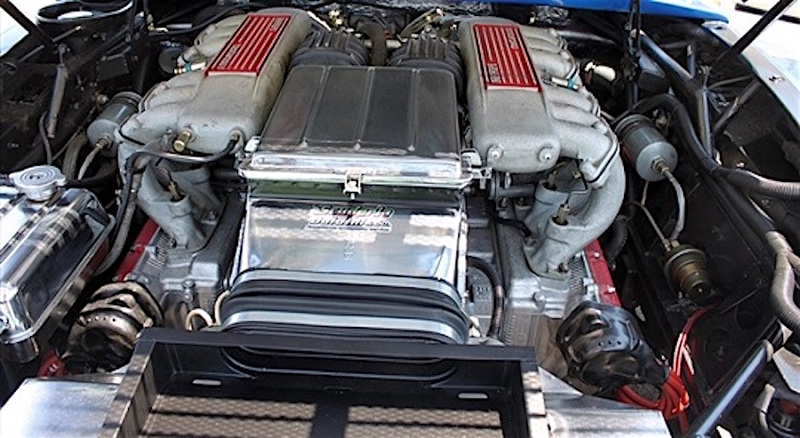 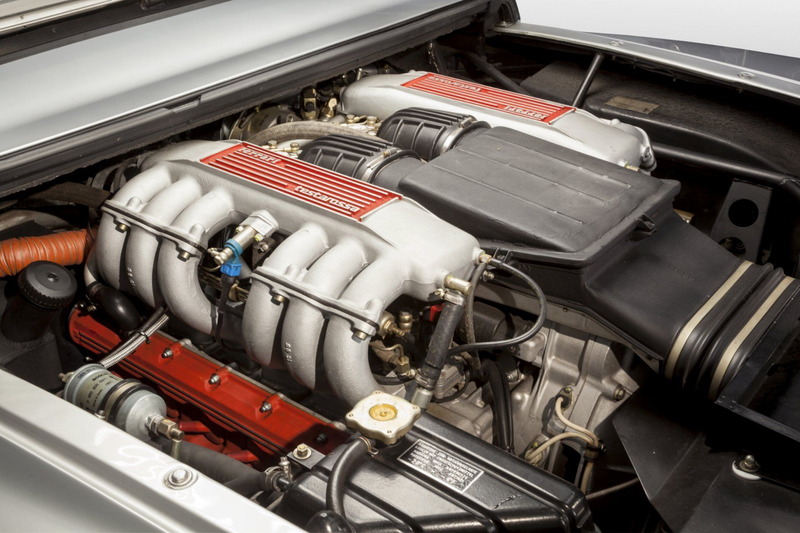 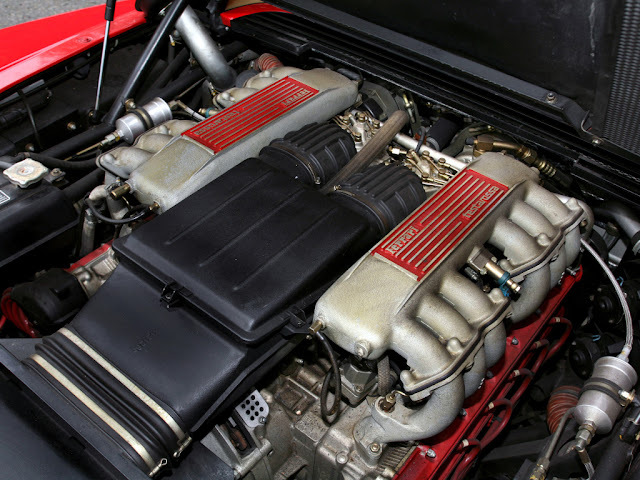 The Ferrari flat-12 mid-mounted 4.9 litre (4,943 cc or 301.6 cu in) engine in the North American Testarossa made 380 bhp at 5750rpm, and 354lbs-ft at 4500rpm, could go up to 390 hp in European models. 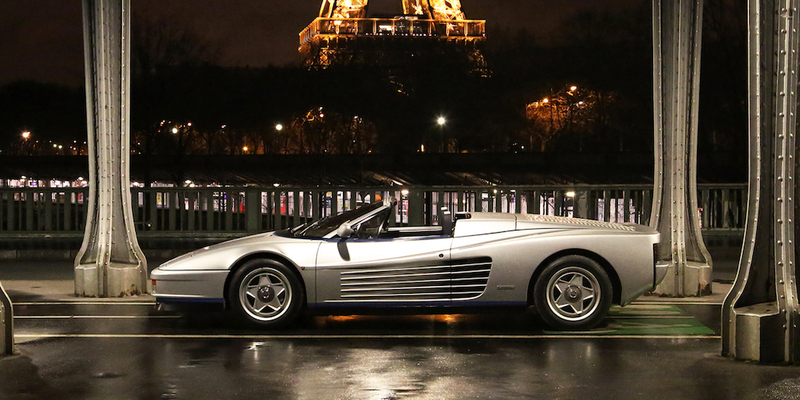 Ferrari never developed the Testarossa into a spider version for production. 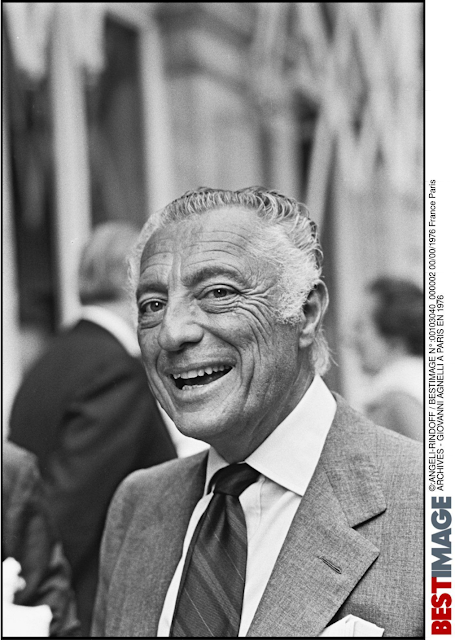 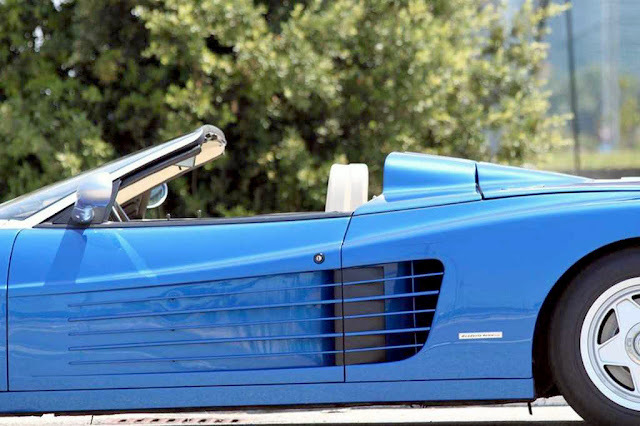 The only one Spider was built for Fiat boss Gianni Agnelli. 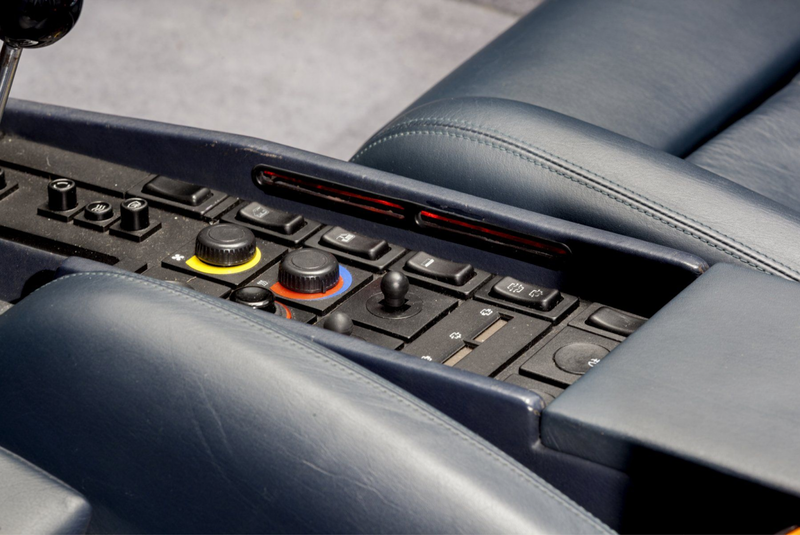 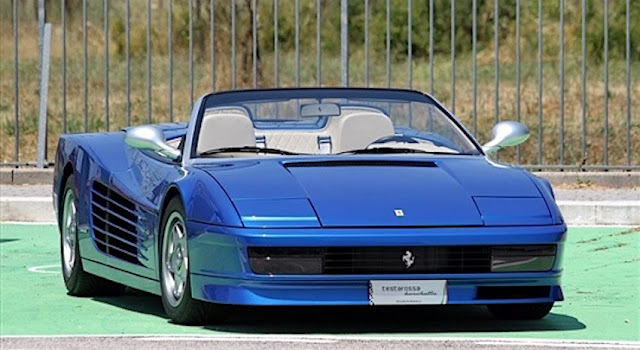 A handful of wealthy collectors who, wanting to own a convertible version of this sublime model, commissioned derivatives from coachbuilders and tuners such as Richard Straman (12), Koenig, Lorenz & Rankl (5), Scuderia Baldini (1) and Pavesi (2), are just some examples. 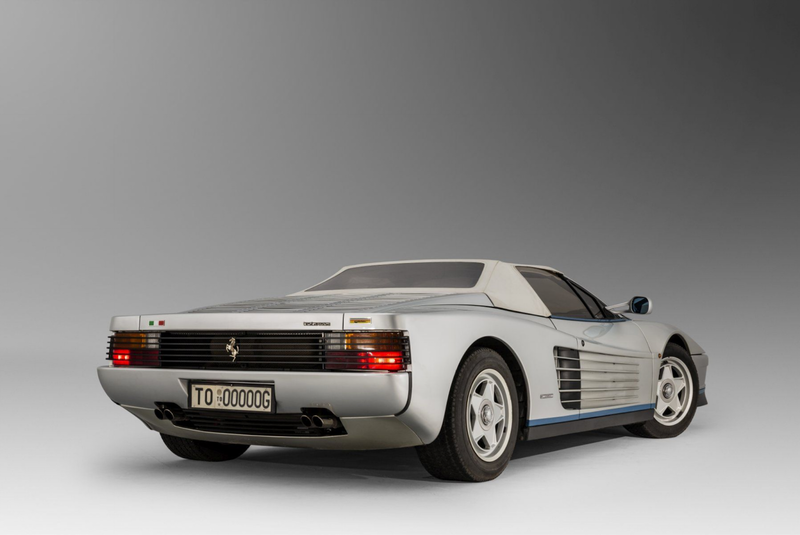 Pininfarina also undertook 5 (some reports say 11) special orders, principally for the Sultan of Brunei, built as right-hand drive cars. 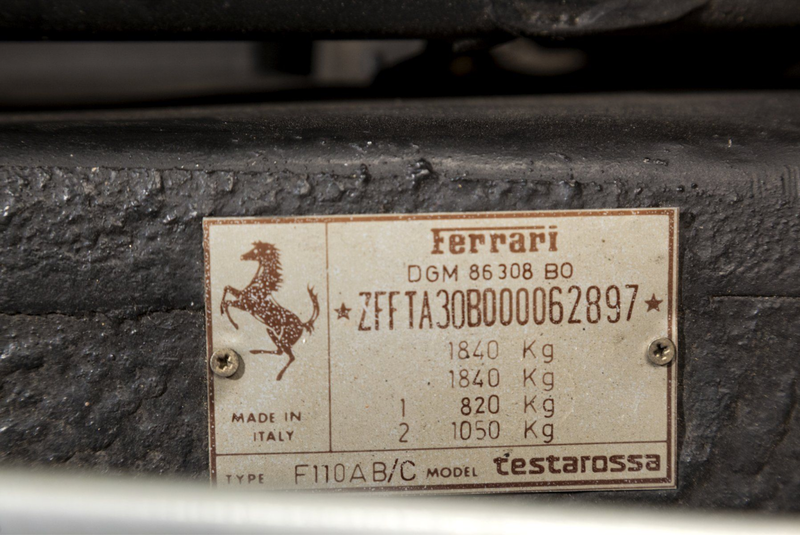 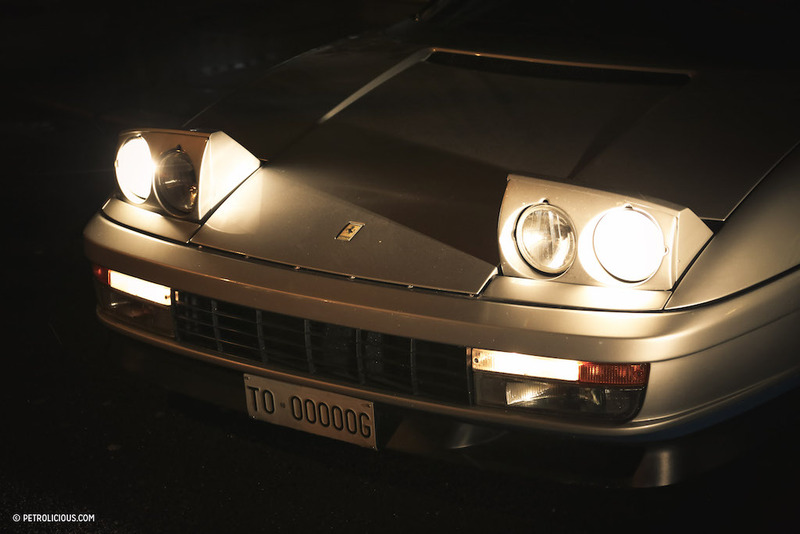 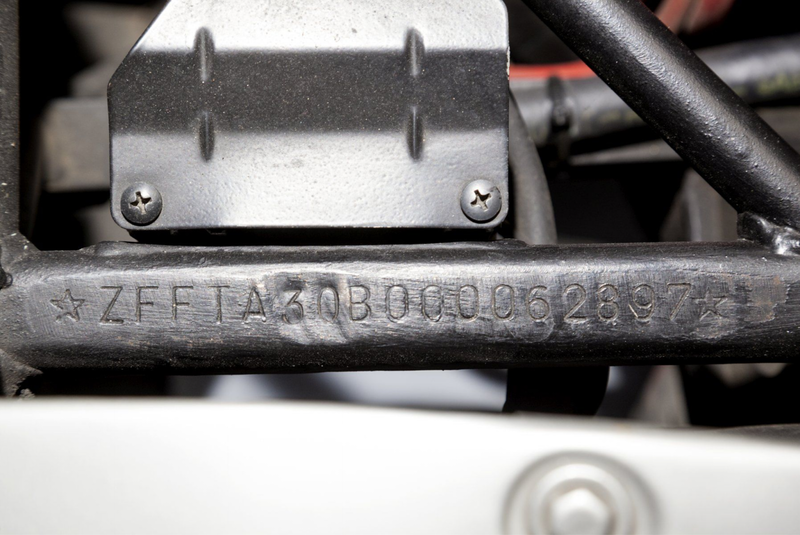 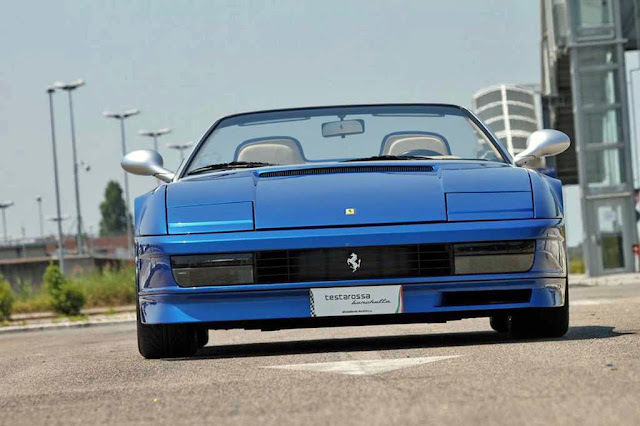 This particular Ferrari Testarossa (Chassis #ZFFTA30B000062897) is exceptional for being unique. 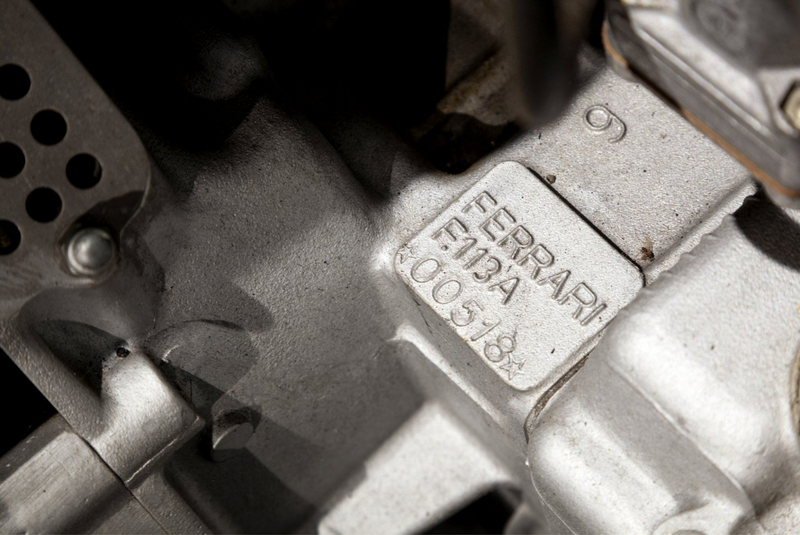 It was built specially by Pinifarina at Maranello for l'Avvocado Gianni Agnelli, to mark the anniversary of his taking over the multinational company FIAT S.p.A. 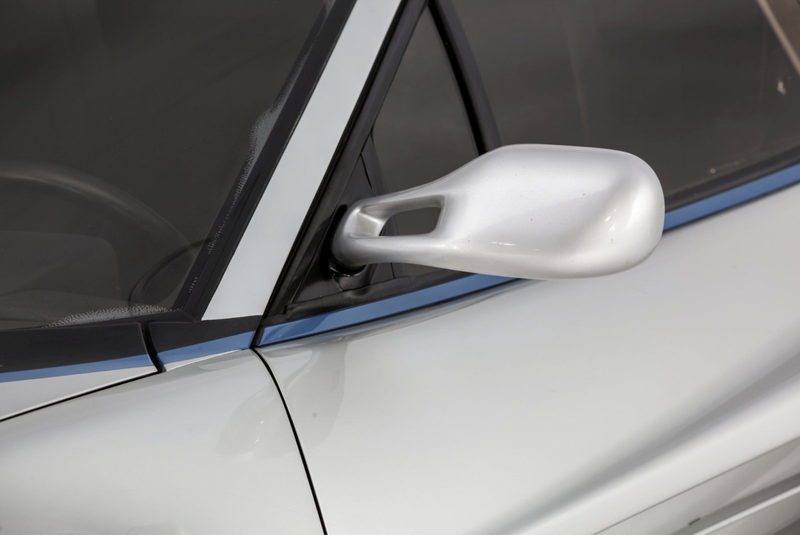 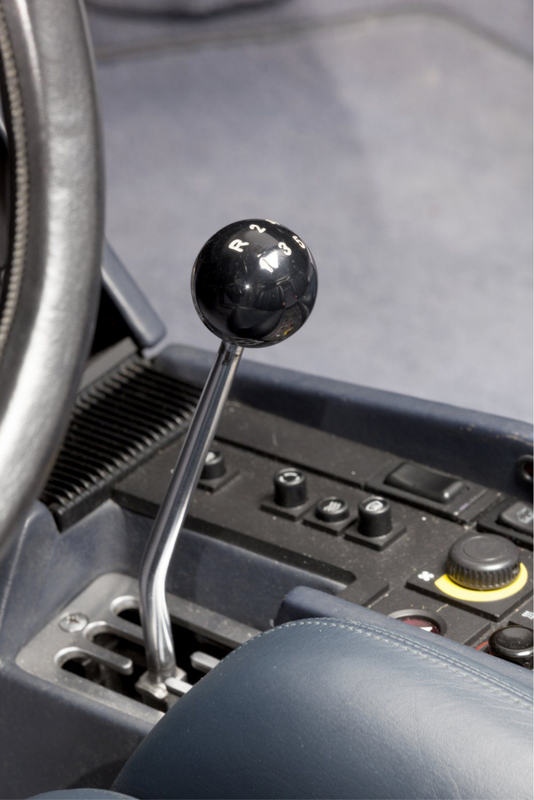 The colour is silver with white interior and it has a dark blue stripe at the bottom and a white top. 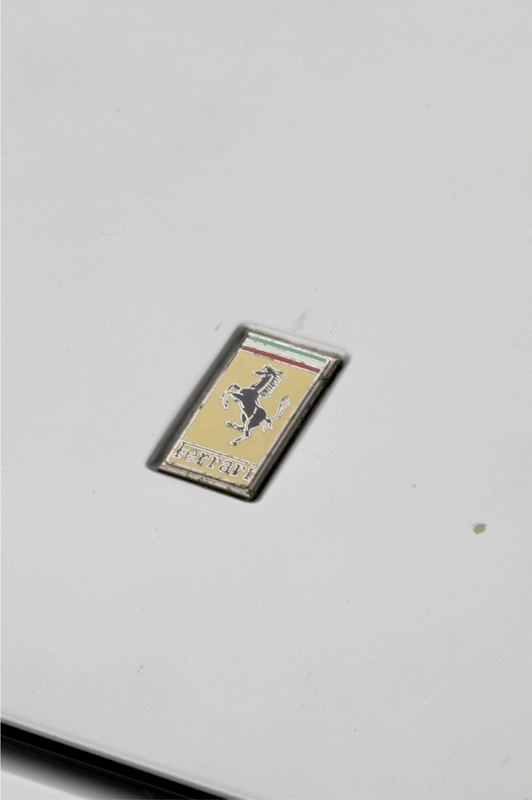 It's colour was not a random choice, but chosen because AG (for Agnelli Gianni) is the symbol for silver in the periodic table. 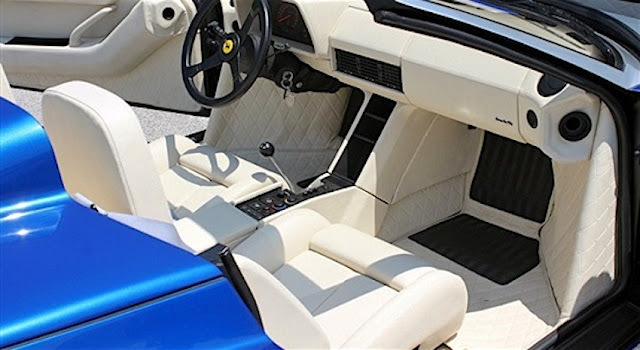 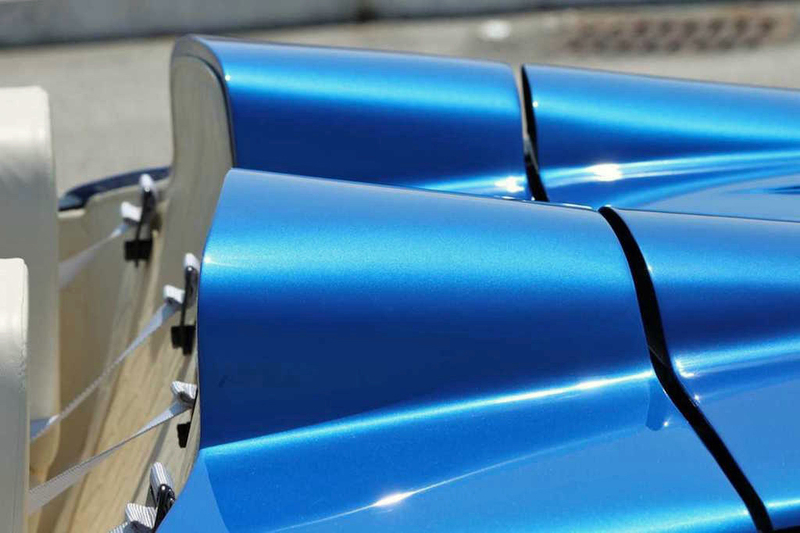 The car is highlighted with elegant " Blu 3282 " bands and " Blu 168 " carpets.